KAPALUA, Hawaii — Unbeatable at the end of the year, Hideki Matsuyama went home to Japan and nearly met his match. "It was close," Matsuyama said, laughing as the translation was given in English. No score was revealed, though none was necessary. 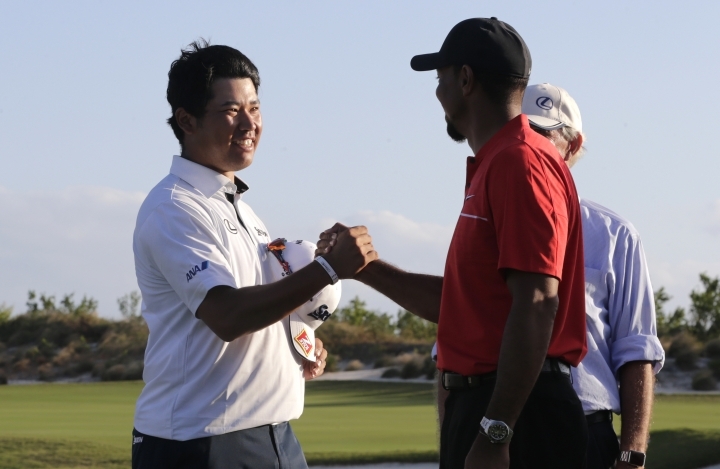 Matsuyama wrapped up his third straight victory in the Bahamas by holding off British Open champion Henrik Stenson, and then he headed home to spend time with family and friends. He had what he described as a "fair share" of sake to celebrate his best year — no one had more than his five victories worldwide — that elevated him to No. 6 in the world and into the elite of golf. Still, nothing topped the time he spent with his father, Mikio Matsuyama. "My father, when he played a lot, he was probably a plus-2," Matsuyama said, referring to his father's handicap index. "We hadn't played for probably 10 years together. My father hadn't even played golf for probably a year. So this past offseason, we were able to play. It was special." The tales of fathers and sons in golf go back as far as Old Tom Morris and Young Tom Morris, and the bond with the Matsuyamas is special. Mikio Matsuyama introduced his son to golf, taught him the fundamentals and remains the only coach he ever had. He rarely travels with him except for the big tournaments, though he was there when his son won the Japan Open. There wasn't much to teach during their time in Japan. Matsuyama was the hottest player in golf at the end of the year, winning four of his last five tournaments while playing in four countries. And the last three victories were not really close. He became the first Asian to win a World Golf Championship with his seven-shot victory over Stenson and Daniel Berger in the HSBC Champions . He won by seven in the Taiheiyo Masters in Japan. And he had a seven-shot lead over Stenson in the Hero World Challenge until a late stumble led to a two-shot victory. Matsuyama is part of the next generation of stars, yet he brings an old-school mentality. The greatest value of learning the game from his father is understanding his own swing. If his swing is off, Matsuyama fixes it himself. He did accept some important help from another player, Hiroshi Iwata, who encouraged him to use the "Pelz Putting Tutor." It's a small metal plate with two tiny steel balls at the end that are set apart just over the width of a golf ball, designed to help players line up putts and with their stroke. Iwata also gave him a drill of making 10 straight putts from 3 feet using only his left hand, then his right hand, and both hands. With five victories come high hopes. 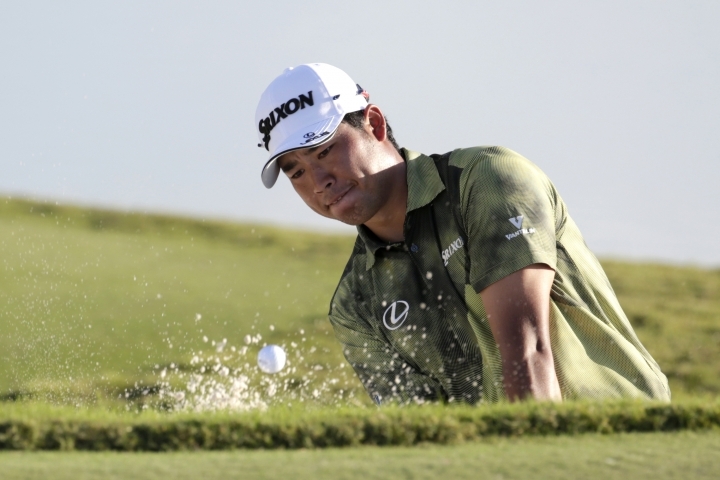 Matsuyama will try to make it four straight victories in the SBS Tournament of Champions. In his only other appearance at Kapalua, he started the final round in a tie for the lead with Jimmy Walker, ran out of birdies and tied for third. It wasn't all sake and golf with his father in Japan. Matsuyama knew he would be starting up the new year in only a few weeks, and there is a part of him that wants to keep this hot streak going, ideally through the spring and into the Masters. Augusta National is where he first received at least scant notice in the United States. He won the Asian Amateur in 2010 to earn a spot at Augusta National at age 19, and he recalls the one goal he had in his Masters debut. "I was just hoping to be able to play four days," he said. "In reality, I just didn't want to embarrass myself in two days." He made the cut and wound up with the same score as Phil Mickelson in a tie for 27th. Matsuyama won the Asian Amateur the next year, and again made the cut at Augusta National. The goal is a little higher now. And so are the expectations. "The expectations of people around me are high," he said. "I don't really worry too much about that. Hopefully, I don't put too much pressure on myself. But I know that other people expect a lot of me, and so all I can do is just try my best." Matsuyama nearly blushes when mentioned in the same breath as Jumbo Ozaki or Isao Aoki, the only two Japanese men in the World Golf Hall of Fame. He even shies away from comparisons with Shigeki Matsuyama, who also has three PGA Tour victories. But he is aware of the company he's keeping in the world ranking. And it's hard to ignore a growing Japanese press corps that once devoted so much of their attention to his good friend, Ryo Ishikawa. "When I go back to Japan, more people recognize me and it makes it a little more difficult to go out for meals," he said. "And even in America, I've noticed people when I go out to dinner — I don't speak a lot of English and so we don't get into a conversation — but I think some of them recognize me. It's a good feeling."